Twitter is a marvellous source of information in the age of hand held technology. While news and current affairs are some of the most common trends, Twitter also lets you stay abreast of the trending discussions and topics. Confused? Well, for all those who do not already know, ‘Hash-tags’ and ‘Trending Topics’ are actually Twitter offerings that lets you know what is being thought about or talked about by people (or peeps) all over the world at any given point of time. 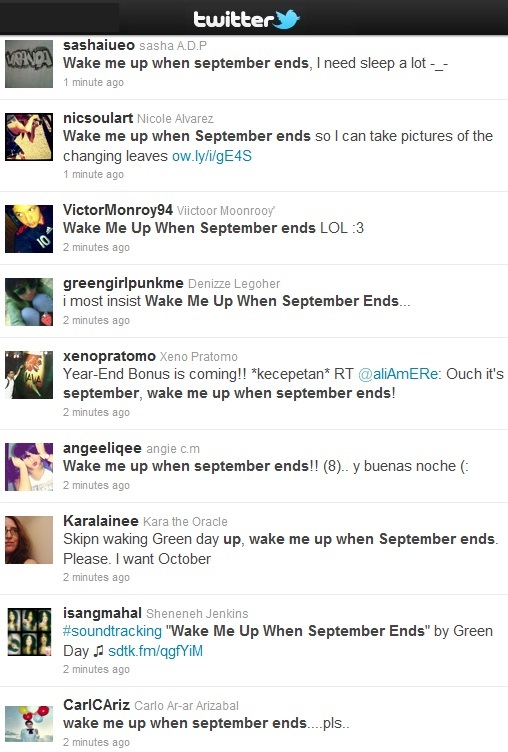 It simply seems natural when “Wake me up when September ends” emerges as a Trending Tweet on the 1st day of September. Apparently hibernating through the September fall is an idea that’s appealing to many and mostly Green Day fans. The song however has different layers to it, apart from the easily assumed notion of sleeping through September. Green Day, the American rock band released this song as the fourth single on their seventh album, American Idiot. Incidentally, the song is dated September 10, and it is track 11 on the album which paved way for much debate and an initial assumption that ‘Wake me up when September ends’ is about the tragic events of 9/11. It was shortly clarified by Billie Joe Armstrong that the song was written in memory of his father. Armstrong’s father, a jazz musician and truck driver, died of esophageal cancer on September 10, 1982, when Armstrong was only 10 years old. During Green Day’s live performances, the song is also dedicated to deceased guitarist Johnny Ramone of the Ramones, who died in September 2004. The initial belief that ‘the song is related to 9/11’ could have also been triggered by its music video. The video shows two ‘star crossed lovers’ separated by the boy’s choice to enlist for the United States Marine Corps. The boyfriend goes to battle in Iraq and gets ambushed by insurgents. This is juxtaposed with scenes of the tearful girlfriend, emphasizing the pain and heartache of losing loved ones due to the war. Besides having an anti-war sentiment, ‘Wake me up when September ends’ eventually became a tribute to the victims and survivors of Hurricane Katrina. A live version of the song, recorded on September 3, 2005, at Gillette Stadium in Foxborough, Massachusetts was released soon after and dedicated to the hurricane's victims. There is a very fascinating aspect to the whole micro-blogging fad, especially Twitter. 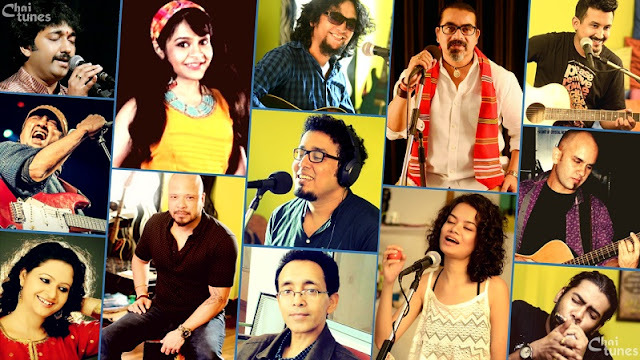 It is hard to determine whether the trends emerge as a result of some telepathic connection between Tweepals or social media users blindly follow budding trends and make them the success that they are. There’s some food for thought, meditate on that. While you do that, don’t forget to play “Wake me up when September ends” on your iPod / Smartphone. 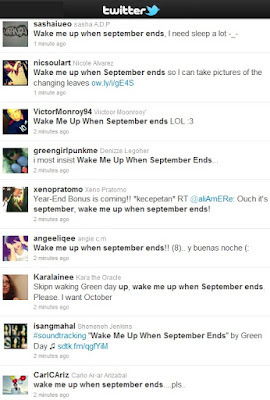 Click Here to watch the “Wake me up when September ends” video on YouTube.